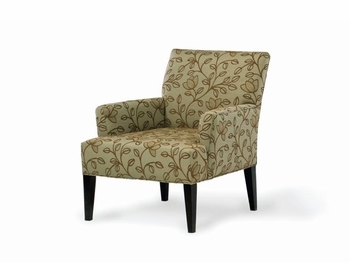 Cleanly tapered legs, gently curved arms and back and a deep, wide seat make it a welcome guest in almost any room. And, with our wide range of upholstery options, you can dress her up to complement almost any style. Tight backs are constructed using the finest sinuous springs installed by hand for ultimate comfort and support. Made of resilient hardwood or stainless steel legs and bases in different shapes and sizes to enhance each style.